Only a few item left! ・Use the included alternative parts to display in different poses. Assemble and swap out parts in seconds! ・Includes magnets in the feet for stability on the included base. ・Flametrooper features a terrific flame spray "special effect" part for a dynamic action display ! 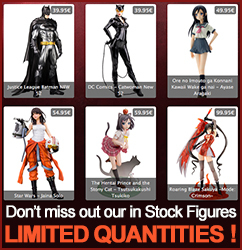 Display alongside other 1/10 scale ARTFX+ Star Wars statues from Kotobukiya !